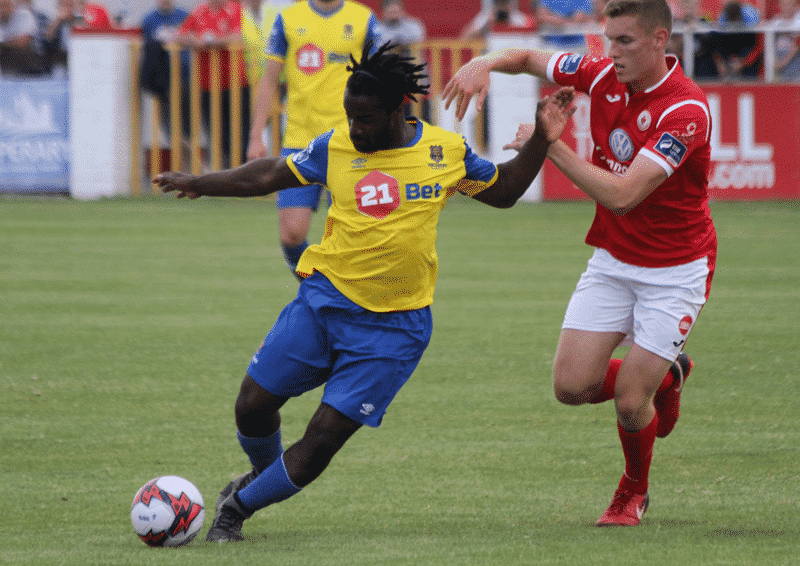 Three first-half goals were enough as Waterford FC took home all three points after a 3-2 win against Sligo Rovers in The Showgrounds on Saturday. Stanley Aborah had the Blues in an early lead which was doubled soon afterwards by John Martin. Goals from Adam Wixted and Seamus Sharkey levelled, before Bastien Hery fired the winner after 35 minutes. The Blues got off to the perfect start with Alan Reynolds’ back on the sideline. Courtney Duffus was fouled by Jack Keaney on the edge of the penalty area and Stanley Aborah beautifully curled beyond the wall into the top corner after just four minutes. And the lead was soon doubled when John Martin latched onto Izzy Akinade’s knockdown and he fired past Beaney from inside the penalty area. But Sligo Rovers came back at the Blues and halved the deficit after 28 minutes. David Cawley’s superb through ball fell perfectly for Wixted beyond Puri and he fired over the advancing Blues keeper Matthew Connor. 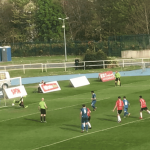 And the Blues were stunned when Sligo levelled two minutes later, Seamus Sharkey heading past Connor at the front post. The first-half goals didn’t end there as the Blues struck the lead again. Wixted’s deflected effort ensure Matthew Connor was alive to the danger before Shane Griffin’s attempted lob couldn’t catch out Beaney as the second half failed to live up to the former. Akinade had a good chance soon afterwards; Beaney was standing firm in the Sligo goal, but the Blues saw out the game to pick up an important three points. Sligo Rovers: Mitchell Beeney; Seamus Sharkey, John Mahon, Patrick McClean, Regan Donelon; Caolan McAleer (Darren Collins 78), David Cawley, Jack Keaney, Adam Wixted; Greg Moorhouse (Liam Kerrigan 62), Lewis Morrison (Raffaele Cretaro 53). 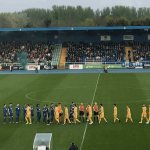 Waterford FC: Matthew Connor; Kenny Browne, David Webster, Dylan Barnet; Sander Puri, Bastien Hery, Stanley Aborah (Shane Griffin 46), John Martin (John Kavanagh 78), Dean O’Halloran; Courtney Duffus (Dean Walsh 92), Ismahil Akinade.